Jehovah's Witnesses dating websites allow those of the Jehovah's Witness faith to find other Jehovah's witnesses to connect with. It's a good way to meet singles who have similar beliefs and ideals. Check out the following Jehovah's Witnesses dating websites. Remember to use your own judgment before you participate in these sites, however. Also, please use caution. Not everyone is who they portray themselves to be. Never give out personal information and never agree to meet someone in person unless you are meeting in a public place or you take along a friend. JW Friends is definitely a site designed to include only those of the Jehovah's Witness faith. In order to enter the site, you must answer a question that is Jehovah's Witness specific. Only then will you be allowed to create a profile and contact other members of the site. This site has very specific rules and regulations to protect you. There is no fee to use this dating site as they don't believe in "exploiting their brotherhood" to make money. JWFind.net was specifically created to counter other, non-JW dating sites online. Some of the features include a personal profile, blog, bible verse helper, search function to find others with similar interests, messaging, forums and so much more. The only way to join this website is to "declare and prove" their status as a Jehovah's Witness. JW Match is one of the more polished, professionally done dating websites specific to the Jehovah's Witness population. They do charge a fee for full access (around $30 for one month or $15 a month for a year), but initially creating a profile is free. Unlike many other JW dating websites, JW Match has no requirement of making a declaration or providing proof of active member status of Jehovah's Witnesses - and this is a criticism of this website among JW members. JW Singles is a Facebook community that is designed for JW singles and other Jehovah's Witness people to meet. The administrator of the page (his or her identity is unclear) urges members to message with what they are looking for and the administrator will try to match them with someone suitable. It's an unorthodox method for meeting other JW singles and one that should be explored with caution. Quick Flirt is a general dating website that offers a section specific to Jehovah's Witnesses. Set up a free profile quickly by providing some basic information including a profile photo. The photo will be rejected if it doesn't feature a non-copyrighted photo of an individual or if the gender of the person in the photo differs from the gender selected at registration. Upgrade your access - which includes increased security and more matches - for less than $1 a day. Jehovah's Witnesses Forum is the place to discuss anything relating to Jehovah's Witnesses and the Watchtower Bible and Tract Society. You might get lucky and meet the love of your love, and if not, you still may make some lifelong friends! This website covers a range of topics in addition to dating and it deals with all sides of the Jehovah Witness culture, including those who have left the religion. Therefore, some Jehovah Witnesses don't support its use. 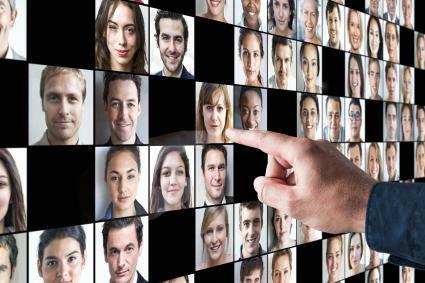 There are numerous Jehovah's Witnesses dating websites, and while many of these focus on meeting other practicing and believing Jehovah's Witnesses for friendship and love, other sites actually speak out against the practice of dating online. If you are of the Jehovah's Witness faith, and you want to seek out others online who share your beliefs, look for the following in any websites you might consider participating in. Look for a safe, secure website. Find a website that encourages only those Jehovah's Witnesses that truly believe and practice their beliefs to join. Many sites advertise that they accept only baptized Jehovah's Witnesses. If this is important to you, then look for this statement. There are many sites that offer free access. Don't pay for services that you can get for free! Just what is a Jehovah's Witness? According to JW.org, the official site of Jehovah's Witnesses, the history of Jehovah Witnesses dates back over 100 years ago and began in Allegheny, Pennsylvania. The driving force behind the Jehovah's Witnesses movement was Charles Taze Russell. The first issue of the Jehovah's Witness magazine Zion's Watch Tower and Herald of Christ's Presence was published in July 1879. In the early 1880s, congregations began forming in nearby states, and the Zion's Watch Tower Tract Society was formed and incorporated. According to the Watch Tower site, Jehovah's Witnesses have a firm belief that the earth will always exist. They also exhibit a faith that all people who believe and practice Jehovah's purpose for a beautiful and inhabited earth may live on this earth for eternity. Just as in the past, today Jehovah's Witnesses continue to be an influence in this purpose. Jehovah's Witnesses believe that the Bible expects them to respect marriage, and they also believe in instilling this and other principals within their children. Family is held in high esteem as well. Dating is taken seriously within the Jehovah's Witness faith; it's considered a step toward marriage and is only acceptable to date people of the same faith. For this reason, the potentially casual nature of online dating is frowned upon by some but not necessarily forbidden. Keep in mind that there aren't many true websites that are devoted to devout Jehovah's Witnesses who are interested in meeting others to date.